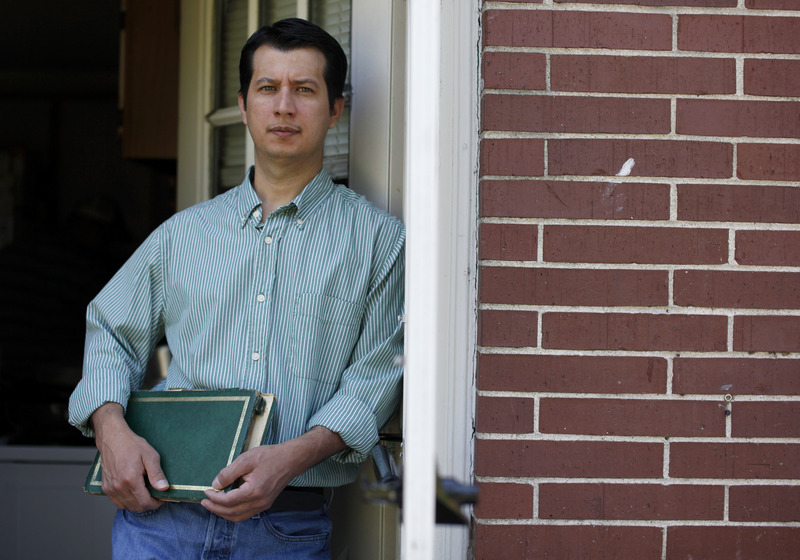 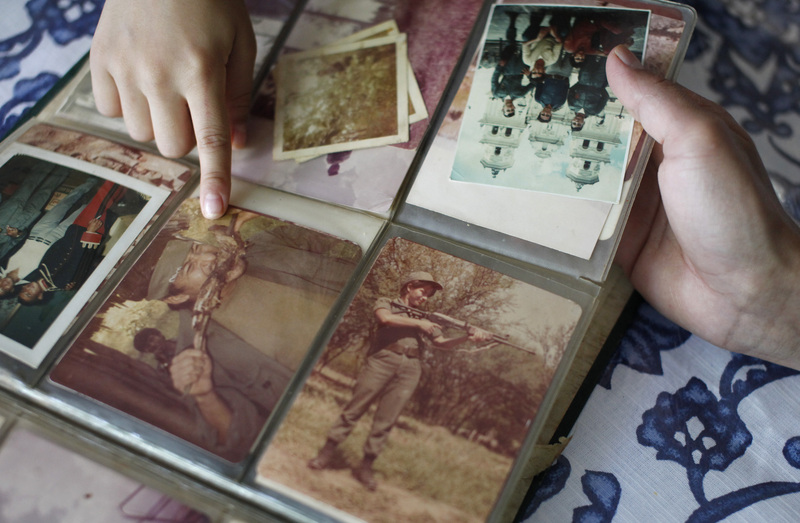 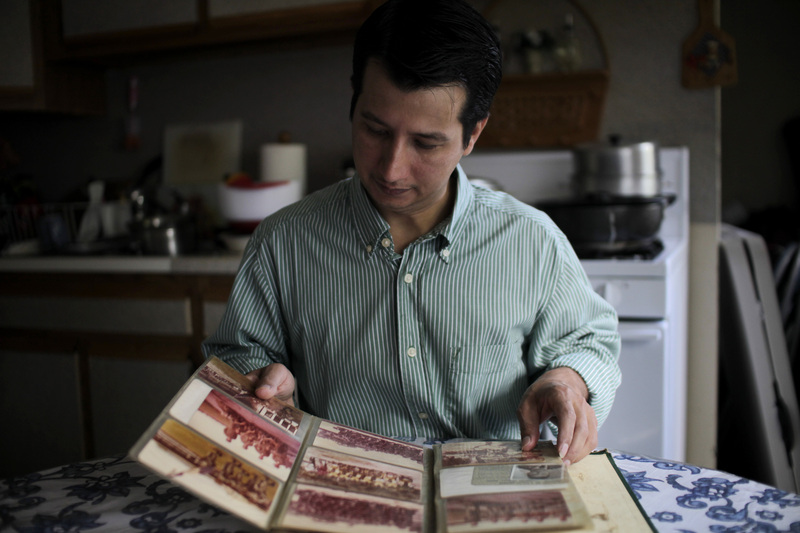 Oscar Ramirez Castaneda looks over a photo album filled with photos of his adoptive father Lieutenant Oscar Ovidio Ramirez Ramos as he posed for a portrait in the kitchen of his home in Framingham, Massachusetts on May 13, 2012. 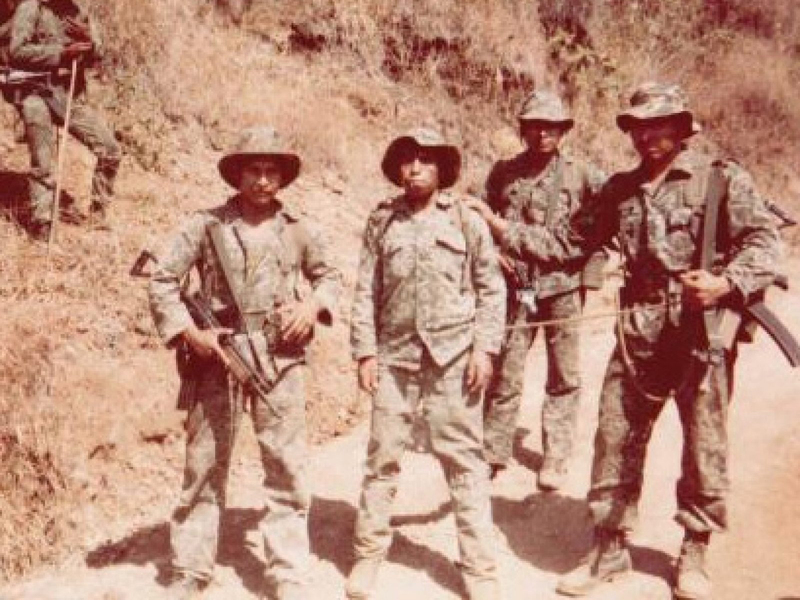 Oscar was adopted at the age of 3 by the Lieutenant after he and his fellow Kaibil troops led a massacre in young Oscar's village in Guatemala. 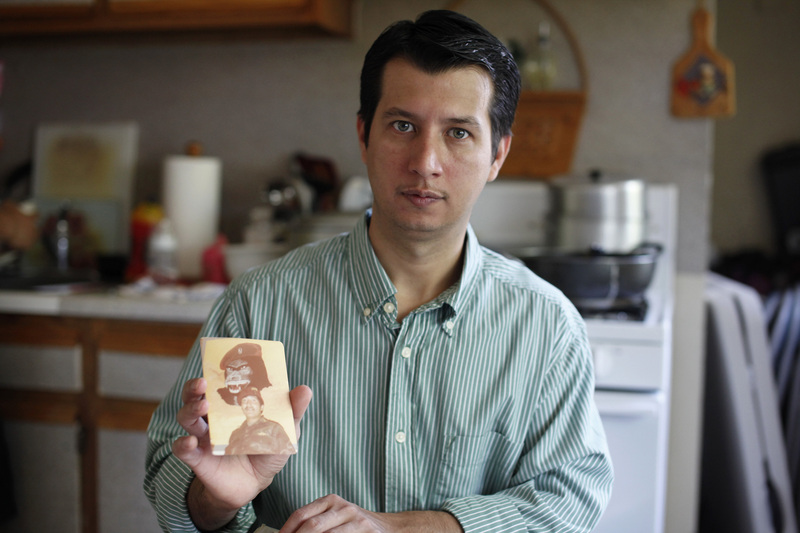 Oscar Ramirez Castaneda points to an undated photo of his adoptive father Lieutenant Oscar Ovidio Ramirez Ramos. 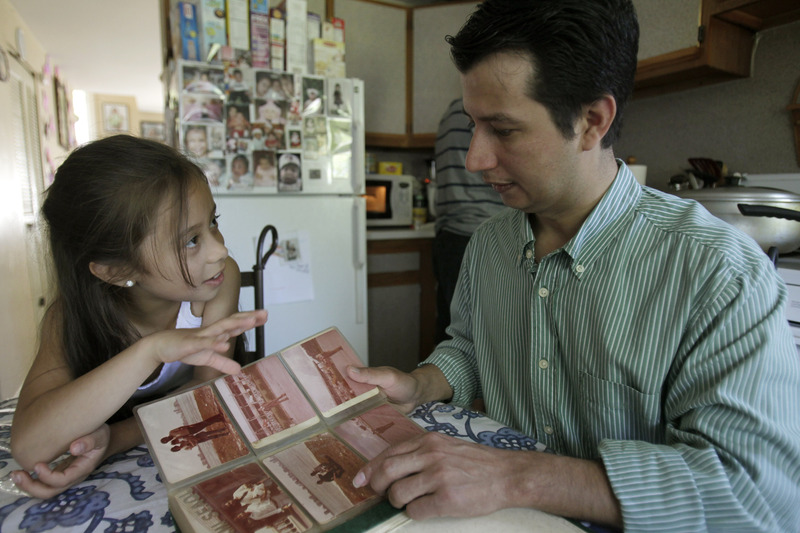 Oscar Ramirez Castaneda (R) with his 7 year old daughter Nicole Ramirez. 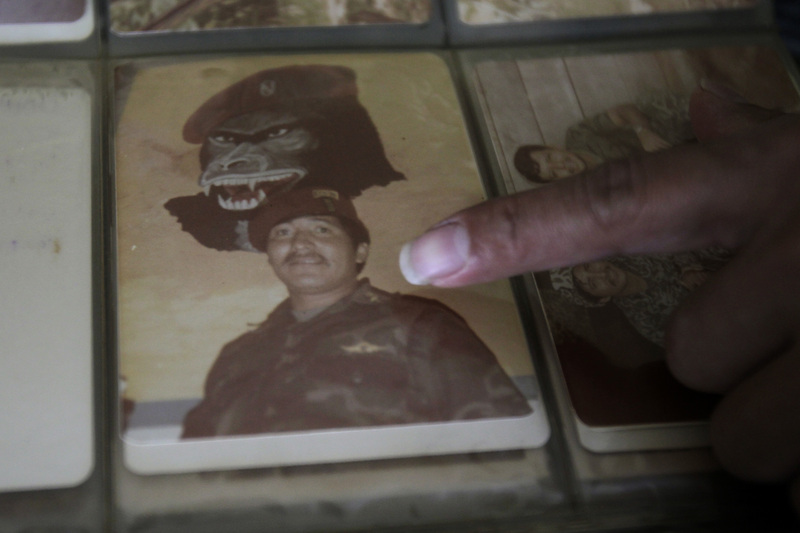 Nicole Ramirez, 7 years old, points to a photo of Lieutenant Oscar Ovidio Ramirez Ramos. 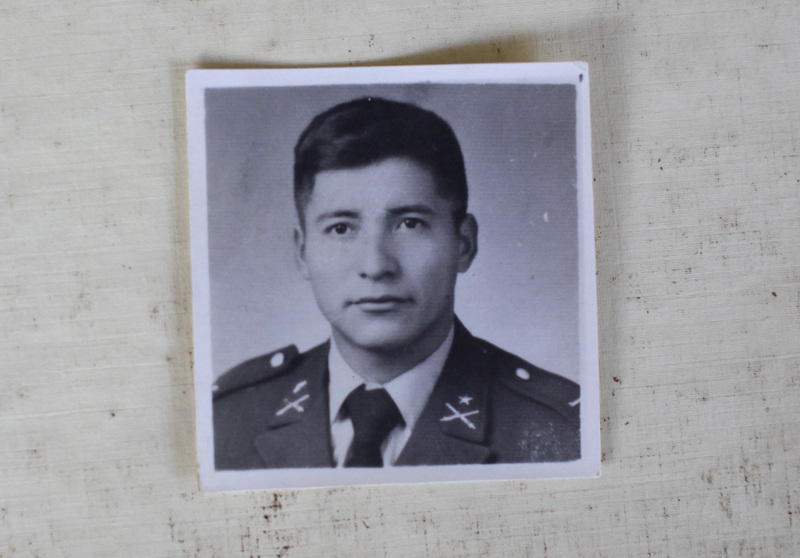 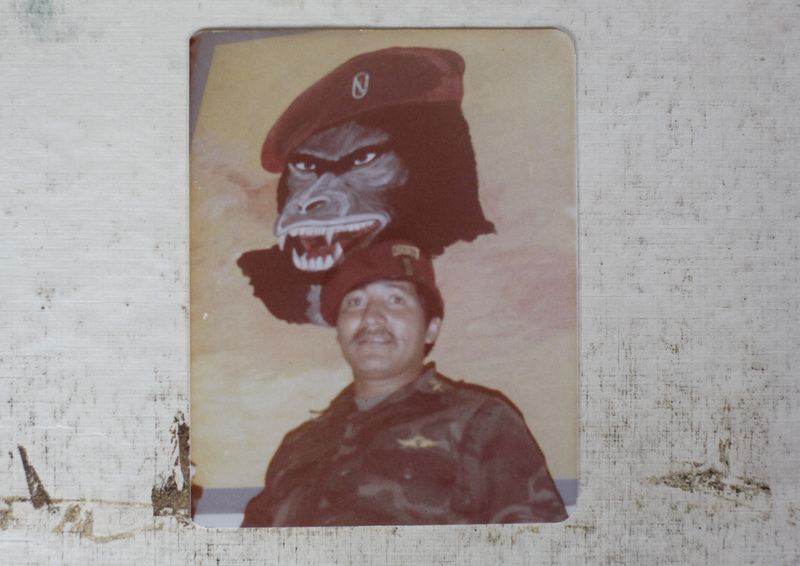 An undated photo of Lieutenant Oscar Ovidio Ramirez Ramos. 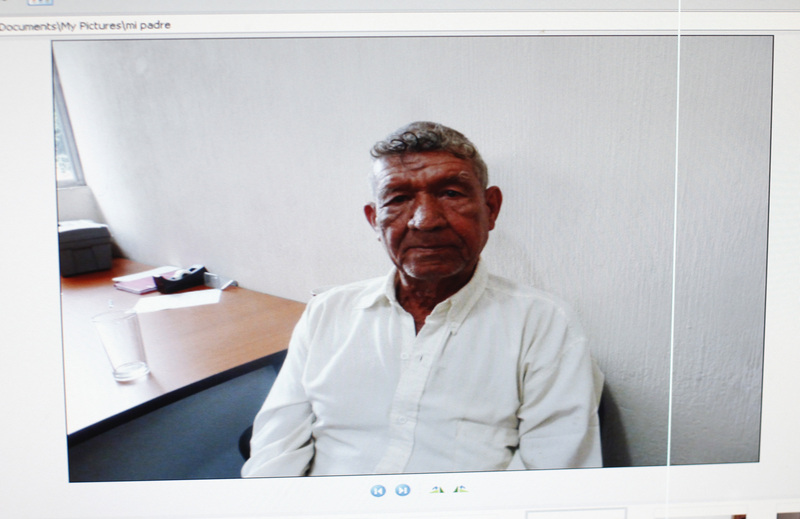 An undated photo of Oscar Ramirez Castaneda's biological father Tranquilino Castaneda is displayed on a computer in Oscar's home. 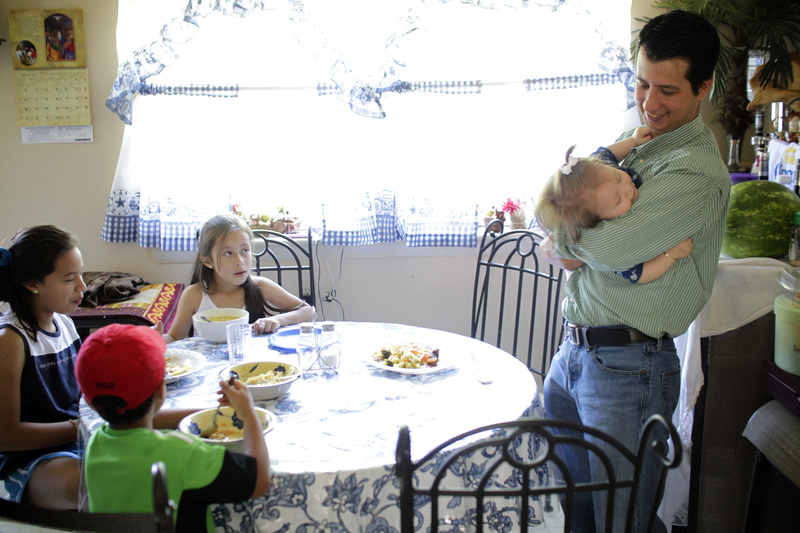 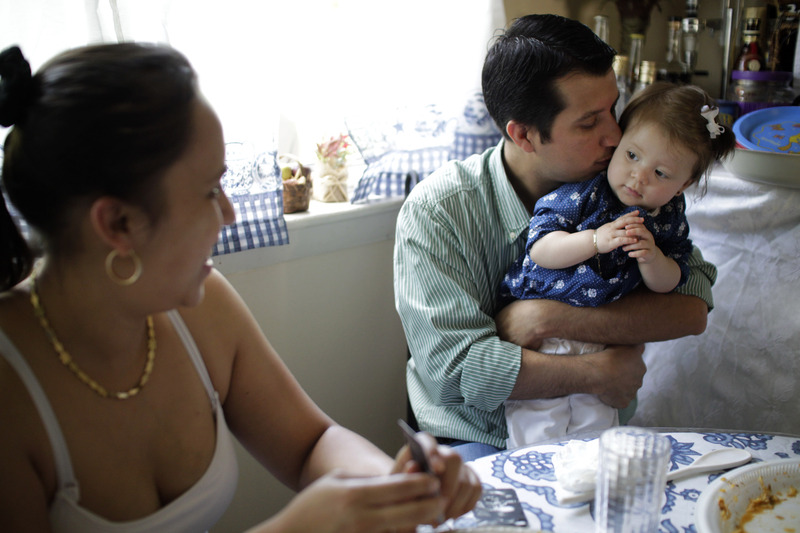 Oscar Ramirez Castaneda (R) rocks his nine month old daughter Dulce Ramirez, while his children clockwise from bottom left Oscar Ivan Ramirez, 5, Andrea Ramirez, 11, and Nicole Ramirez, 7, eat lunch. 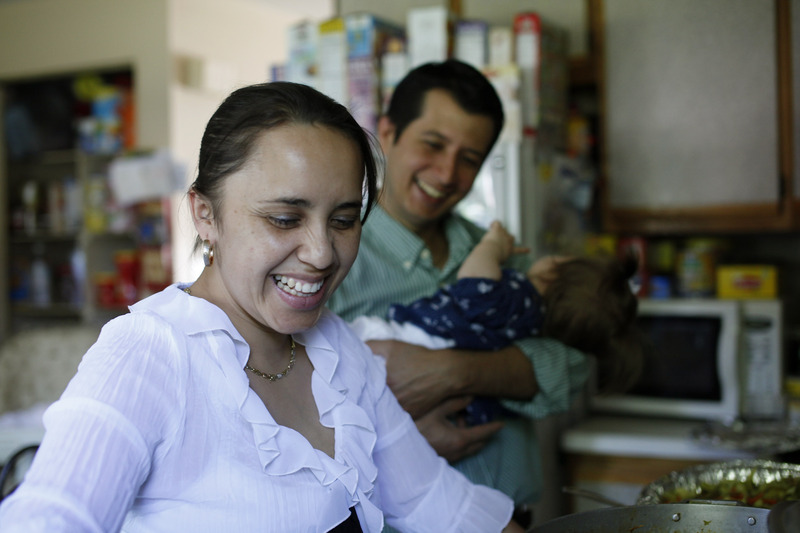 Nidia Franco (L) laughs with her husband. 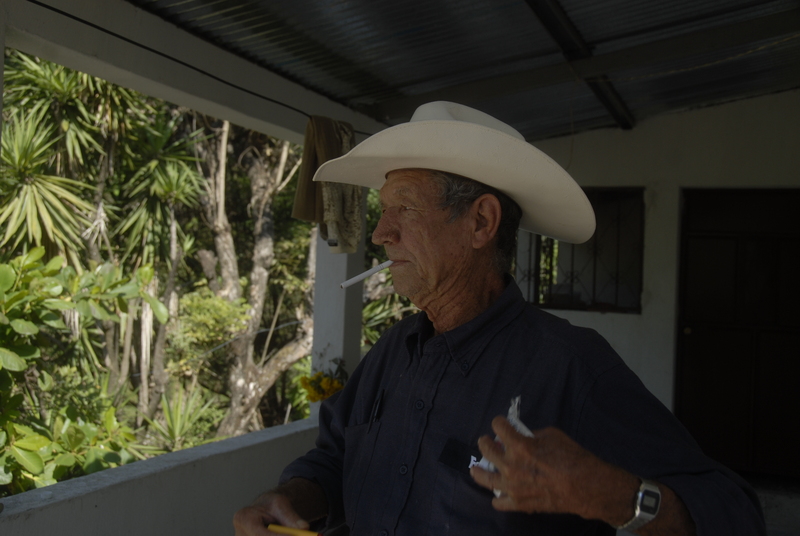 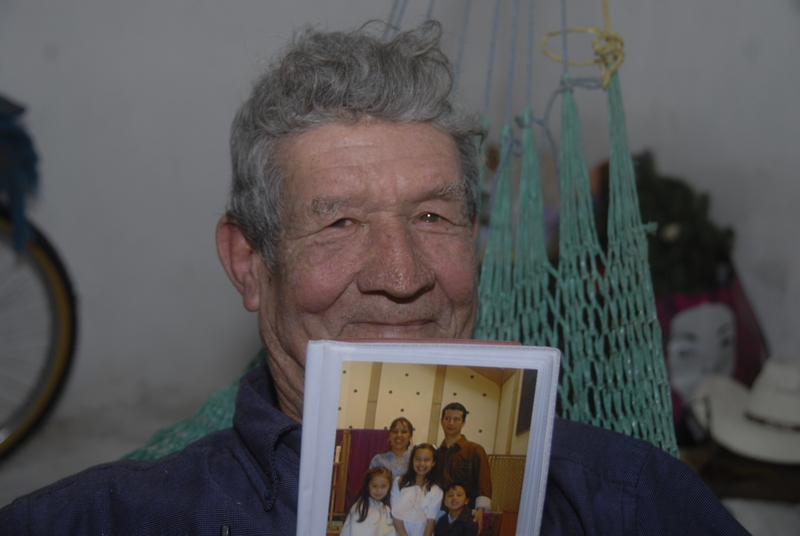 Seventy-year-old Tranquilino Castaneda survived the massacre of the Dos Erres in the Petén department of Guatemala, where in 1982 250 people were killed.